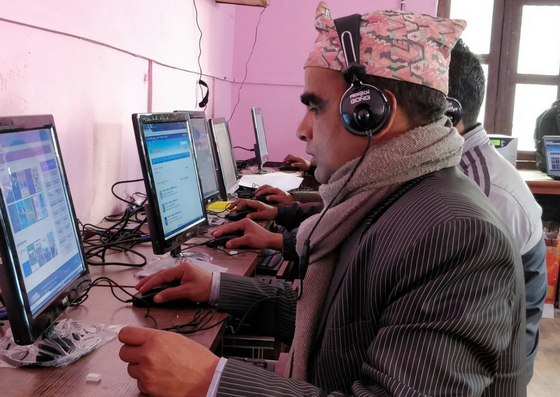 OLE Nepal has successfully completed offline E-Pustakalaya (digital library) installations and teacher’s training at Arjai Secondary School and Amarpur Omprasad Gautam Secondary School in Gulmi. The program was conducted at the schools, from January 29 to February 6, 2018. 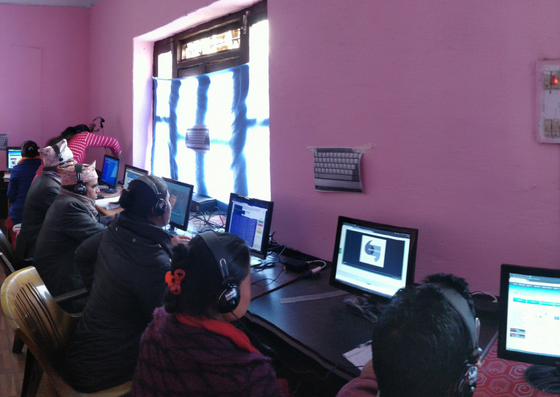 In addition, our team also set up the computer lab with Raspberry-Pi devices at Arjai Secondary School, Gulmi. and Janata Model Secondary School (JVT) in Tansen, Palpa. During the visit, our technical team also provided technical support to the Dhawal Pustakalaya in Tansen. The program was carried out in partnership with Rotary Club of Kathmandu Mid-Town with local coordination of Rotary Club of Palpa. The objective of the training was to develop teachers’ skills and confidence in integrating technology and digital learning resources in classroom lessons. Teachers were introduced to contents of the offline digital library, and trained on integration of technology in classrooms. The training aimed to develop teacher’s aptitude to seek reference and include them in their lesson delivery. 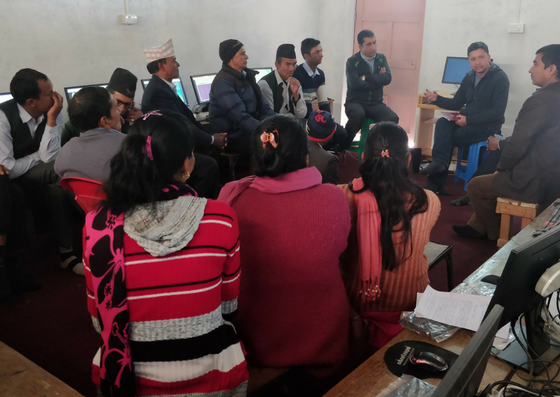 OLE Nepal’s trainers were also able to guide teachers on troubleshooting problems in technical, managerial and pedagogical aspects of E-Pustakalaya. 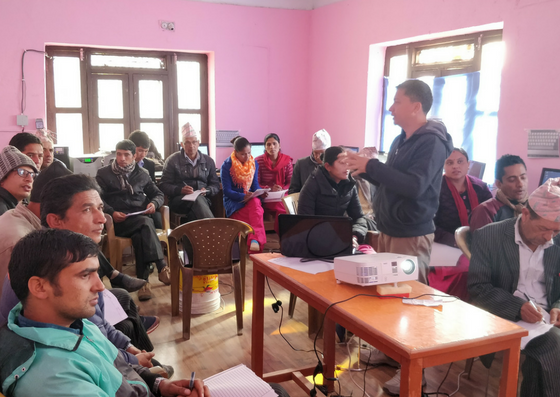 In Gulmi, all teachers attended the three day training session on E-Pustakalaya at each school. In Palpa, a one-day orientation about Raspberry-Pi machines and applications was conducted at the JVT School. The training program covered demonstration of and practice on E-Pustakalaya content, integration of digital contents in classroom activities, and setting up and troubleshooting offline E-Pustakalaya servers. Trainers received positive feedback from the activities during training and the participants achieved their expectations that will encourage them to teach children in different and effective ways. The teachers were enthusiastic to use Raspberry-Pi computers and the assistance it would deliver in teaching learning process. 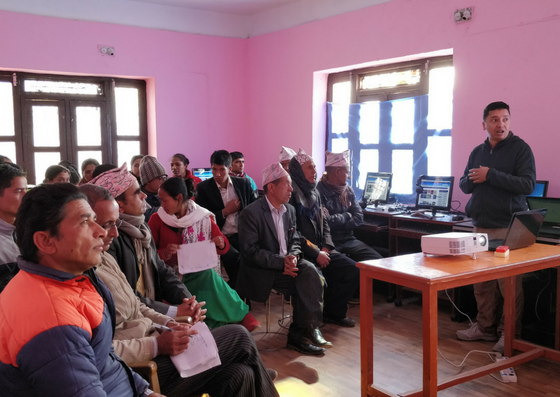 Although a few participants had no prior experience of using computer, they were able find useful learning materials and were confident to demonstrate them in front of the classroom by the end of the training. Overall, the teachers gained confidence on integrating digital learning materials in their course.